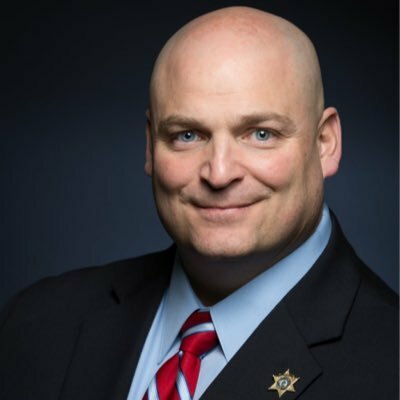 LUDLOW—After a rollicking primary, Assistant Superintendent Nicholas Cocchi seized the Democratic nomination for Hampden County Sheriff, setting him on a path to succeed, Michael Ashe, the nationally recognized 42-year incumbent. Cocchi triumphed over Springfield City Councilor Thomas Ashe and Governor’s Councilor Michael Albano in a race that practically dominated the Greater Springfield political conversation from Cocchi’s mid-2014 announcement until the oddly-placed Thursday primary. Cocchi’s’s victory did not come as a total surprise. Yet, the final margin was a spectacular 20 point blowout, driven by a disciplined campaign and a potent field operation. In the final weeks, the race for sheriff slid deeper and deeper into nasty territory, clouding what had been an intense, but substantive debate about qualifications and policy. That turn did not disrupt Cocchi’s course. By 11:30 p.m., the crowd at the Lusitano Club here had thinned out, but only hours before, the room was awash in light and cheers as Cocchi declared victory. “I feel like we’re halfway home,” Cocchi, tie off, told WMassP&I during an interview. Though elated by the victory, Cocchi noted he still faces independent James Gill and Republican John Comerford. Recalling his speech shortly before, he said, “I thanked everybody in the room” for making the big win possible. He declared victory shortly after 9 p.m. The results had been trending his way well before that, especially as Cocchi secured and maintained a plurality in Springfield. Albano conceded the election via Twitter. The most recent results show Cocchi won just over 50% of the Democratic primary vote in Hampden County. Countless supporters and bigwigs had attended Cocchi’s party and US Senator Elizabeth Warren even called to offer congratulations, sources confirm. Elsewhere in the Valley, the Democratic nominating contests for the 11th Hampden District in the heart of Springfield and the 8th Governor’s Council district were also decided. Springfield Councilor Bud Williams and retired district court judge Mary Hurley came out on top respectively. Further north, the 3rd Hampshire House seat Solomon Goldstein-Rose scored the nomination for the seat of retiring rep Ellen Story. The winners in all of those contests are currently unopposed in November. The Governor’s Council race, left open by the retirement of Albano, had, too gotten hot in its final weeks, but unlike the sheriff’s race did so with considerably less attention. The Governor’s Council confirms judge and certain administrative officials and approves pardons and notaries. Attorney Jeffrey Mornueau had styled himself the progressive in the race, but policy differences between him and Hurley were few. A former Springfield mayor, Hurley, had pitched her judicial connections as a means to fill court vacancies in the 413. The city she once governed came out big for her, but Hurley showed strength throughout the 8th District, which covers much of Western Massachusetts. “I’m very gratified by the support I received from all Western Mass communities,” Hurley said during a brief interview at Cocchi’s party, where the retired judge and her entourage had decamped after declaring victory. In Springfield, Rep. Benjamin Swan’s retirement from this historically African-American seat kicked off a spirited four-way contest between his son, Benjamin Swan, Jr, Kenneth Barnett, Larry Lawson and City Councilor Bud Williams. Name recognition loomed large over the contest, but ultimately Williams, an eleven-term city councilor, beat out the younger Swan by about 400 votes. Relaxing at Nathan Bill’s, a popular watering hole and restaurant in a more suburban part of Springfield in the otherwise heavily urban district, Williams seemed pleased with the result. Williams coyly refused to state whether he intended to resign his Council seat, saying he might face a race in November, in which the GOP might heavily invest. The success of a Republican write-in attempt for the arch-Democratic district was not known as of posting time. In the 3rd Hampden District, which covers Amherst, Pelham and a precinct in Granby, Goldstein-Rose’s victory came amid a fractured primary featuring six solidly progressive, but diverse candidates. Despite his age—22—Goldstein-Rose fielded a strong, polished well-funded bid, pitching his youth as an asset to the district that represents the flagship campaign of the University of Massachusetts. But the Hampden sheriff’s contest long seemed destined to the big prize in the Pioneer Valley. Sheriffs’ offices in Massachusetts are widely coveted perches because of the size of the operations and the political power that can entail. Sheriff Michael Ashe—no relation to the city councilor—had developed his into a sprawling social services organization for offenders. Volleys of accusations about how the jail was run sailed back and forth throughout the campaign. The correction officers—albeit with only half of them voting—endorsed Albano. “I want to be able to bring 23 cities and towns [in Hampden County] together,” and bring “a better sense of public safety,” he said. The Hampden Sheriff’s race was not the only one of its kind in the 413. Hampshire Sheriff Robert Garvey, another storied, progressive corrections official, was retiring this year. An assistant superintendent also won that race. Patrick Cahillane prevailed in a three way race with 58% of the vote according to Masslive. Thursday night featured several write-in candidacies as well. Whether Republicans Michael Jones in the 11th Hampden and the Sid Starks in the Longmeadow to Monson 2nd Hampden had succeeded was unknown as of posting time. Former State Rep. Rosemary Sandlin’s sticker campaign for Democratic nomination to the 3rd Hampden District, however, was successful according to The Republican. Sandlin, who lost the seat to Republican incumbent Nick Boldyga in 2010, ran as a write-in candidate after Agawam Town Councilor Richard Theroux backed out after the deadline to enter the race. Though Boldyga has brushed off opponents in the past two cycles, Sandlin’s nomination puts the seat, which cover Agawam, Granville and Southwick, in contention. It will likely be the most competitive House race in Hampden County this November.